Will this connect dvd player to smart tv? BEST ANSWER: Yes. If both have S-Video Input/Outputs. I'd think HDMI would be preferable. great high quality cables and nice thick shielding. A good item now getting hard to find. The quality is exceptional along with the quick and personal delivery. This is a great quality cable at a remarkable price. Monoprice is the place to purchase any cables you need. PROS: Great quality. Low price. Fast shipping. Great packaging or the product. Extremely durable, molded cable. 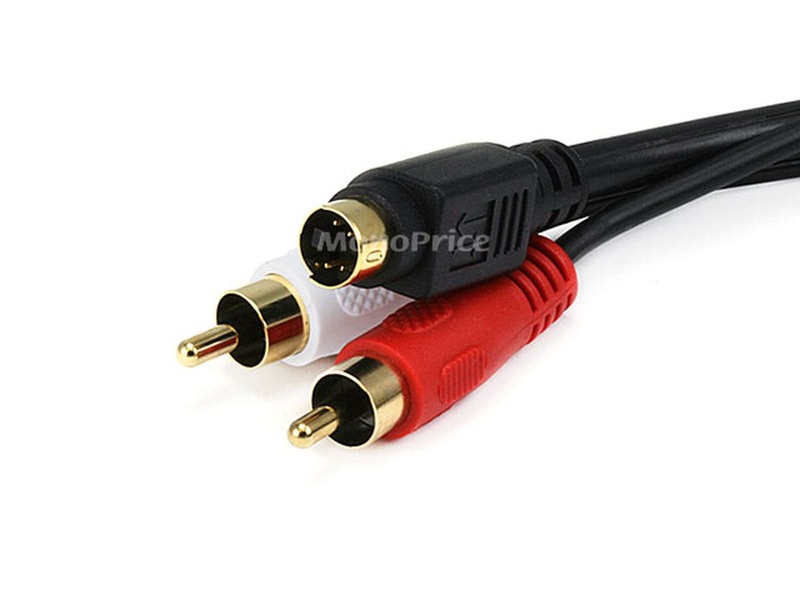 I like the fact that it's an S-Video/Stereo audio cable all in one. The combination makes for easier and cleaner organization. CONS: SVideo pins are very sensitive - easy to break. Earphone cable plastic insulation wore out after one week use. PROS: Works like it should! PROS: Well made cable, good ends. PROS: Looking for the optimum way to connect my VHS to my Sharp HD TV. This was the answer. I've had great luck with Monoprice. Have yet to be disappointed. great price for the exact product I needed to connect an older DVD and TV, to get a better picture with only 1 cable!